blog-post Dude! IRC Loves the 80s! A recap of this year’s totally tubular CAC Fundraiser! Each year IRC’s Community Engagement team hosts an immersive party experience for our teen and adult Consumers. 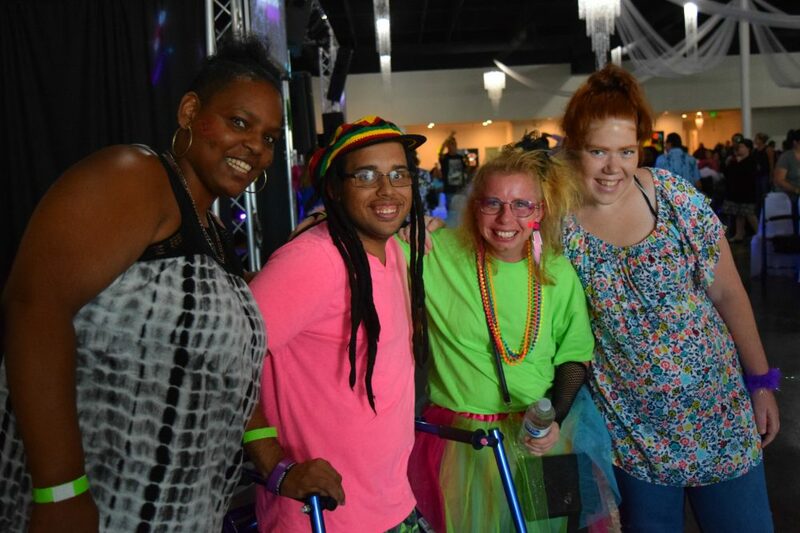 This year’s event, I Love the 80s, featured the fun, fashion, and flair of the 1980s. Club Center Events in San Bernardino gave guests a blast from the past with blacklights, neon décor, and Rubik’s Cube centerpieces. I Love the 80s, historically known as Casino Night, offered guests the opportunity to try their luck and skill in several gaming areas. Traditional casino games like blackjack, roulette, and bingo were familiar favorites. Upping the ante at this year’s event, were full-sized arcade classics like PacMan, Ms. PacMan, Tetris, Space Invaders, and Asteroids! 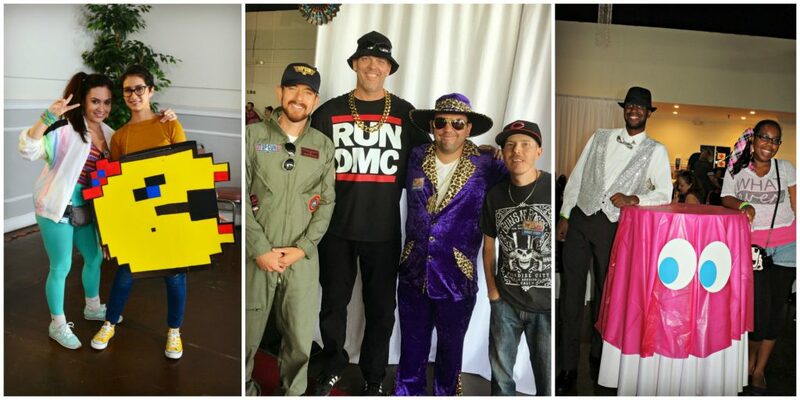 Guests and volunteers alike donned their 80s best. Outfits featuring leg warmers, neon polo shirts, and parachute pants did not disappoint! DJ George Gonzalez of Mass Appeal Entertainment kept the guests dancing all night to 80s hits, with Michael Jackson songs being a clear crowd favorite. A pizza party, photo booth, and glow-in-the-dark face paint and raffle prizes made it a night to remember. The event also hosted special guest Assemblymember Eloise Gómez Reyes! Assemblymember Reyes recognized the IRC Consumer Advisory Committee for its work serving the young people with disabilities in the Inland Empire. To see more I Love the 80s photos view our online album!